Join us in Downtown Nashville for live music in the beer garden! Describing The Ransom Notes’ sound in a single word is an impossible task. Schooled in the precision of classical music and steeped in homegrown tradition, The Ransom Notes epitomize the phrase “best of both worlds”. Drawing inspiration from genres such as bluegrass, folk, Americana, and Celtic fiddling, this eclectic group has enthralled audiences for nearly two decades. The band never fails to amaze with its exceptional talent on a multitude of different instruments including fiddle, cello, mandolin, guitar, banjo, and dobro. In addition to instrumental prowess, The Ransom Notes inspire audiences with soulful vocals that are considered by many to be one of the best features of this talented ensemble. The Ransom Notes have been blessed with numerous opportunities to share their music across the country through performances at many prestigious venues and festivals including The Kennedy Center in Washington, DC, Musicians Corner Concert Series in Nashville, TN, Bristol Rhythm & Roots Reunion in Bristol, VA, Dollywood BBQ & Bluegrass Festival in Sevierville, TN, and countless others. In addition to their extensive performance resume, The Ransom Notes have also filmed several TV appearances for PBS, including the award-winning “Bluegrass Underground” series in McMinnville, TN, “Song of the Mountains” in Marion, VA, and “Music City Roots” in Nashville. Along the way, The Ransom Notes have had the opportunity to appear on bills with many notable artists including Paul Simon, Yo-Yo Ma, Steve Earle, Del McCoury, The SteelDrivers, Jesse McReynolds, Rhonda Vincent, The Gibson Brothers, and Sierra Hull to name just a few. After many years of earning a reputation along the Front Range of Colorado, The Ransom Notes relocated from its long-time home base to be at the heart of the music industry in Nashville, Tennessee. This change in scenery has continued to increase the popularity of the group, and you can catch them performing at venues from California to Virginia and everywhere in between. The Hogslop String Band is a Nashville based old time string band comprised of four energetic young musicians hailing from Georgia & Tennessee. Featuring Kevin Martin on the fiddle, Gabriel Kelley on guitar, Daniel Binkley on banjo and Casey "Pickle" McBride on the washtub bass, these boys surely raise a ruckus. Upon forming as a pickup square dance band in the summer of 2009, The Hog Slop String Band has since become one of the most sought after old time string bands. Known for their outrageous facial hair and a rollicking repertoire heavily based on Georgia and Middle Tennessee fiddle tunes, these boys have provided entertainment for fashion shows, political conventions and whiskey distilleries as well as countless weddings, festivals and soirees. Following in the footsteps of such country music luminaries as Uncle Dave Macon and Gid Tanner, they put on a high energy show easily appreciated by both young and old alike. Despite an unkempt appearance, their undeniable charm is as certain to steal your heart as it will your daughters! 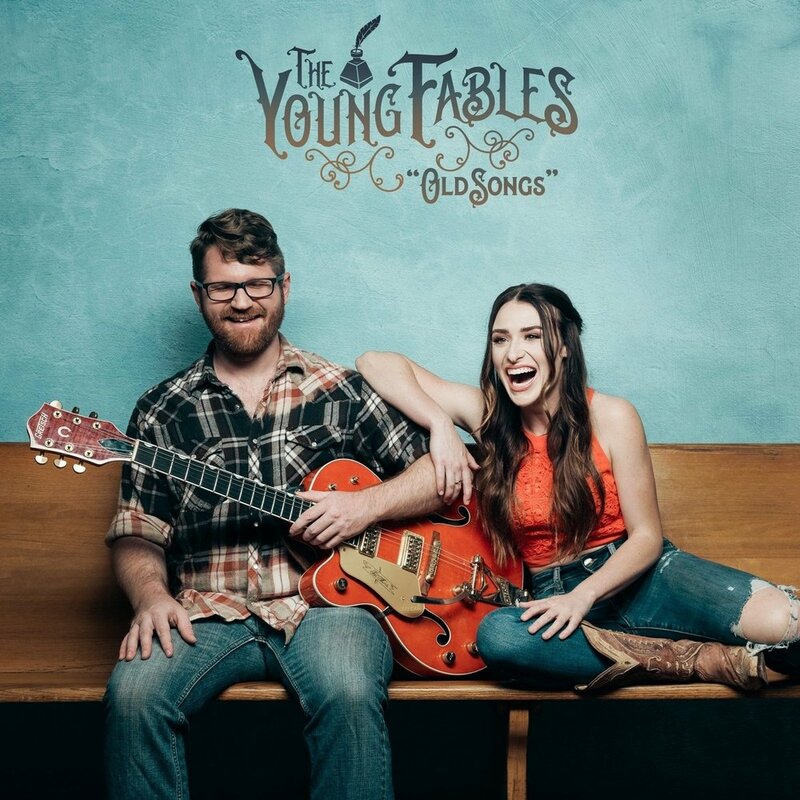 The Young Fables are the promising country duo comprised of three-time American Idol vet Laurel Wright and accomplished guitarist and vocalist Wesley Lunsford. The act hails from Maryville, TN and the team has already collected impressive accolades including the Grand Prize of the Texaco Country Showdown which landed Laurel on the Ryman Auditorium Stage at age 16. Today, The Young Fables can be found playing all over the country supporting their debut release “TWO”, as well as gracing the pages of many country music columns including the world renown "The Boot”. Laurel and Wes are recognized for their prolific online presence, featuring numerous video collections, including the fan favorite “Covering Your Tracks” series. Since winning the Nashville finals of NASH FM’s countrywide NASH NEXT competition, the radio giant has embraced the duo as an America's Morning Show favorite, regularly highlighting The Young Fables' songwriting strength in the Ten Minute Tune segment. It is not hard to understand why Laurel and Wes have been turning heads. Country music staple Keith Urban claims Laurel’s voice “had me immediately” and BIG MACHINE CEO, Scott Borchetta went as far as to label her tone and control,“a flawless vocal”. The Hi-Jivers are an early Rhythm & Blues/Rock N' Roll group formed in Nashville in early 2015. The combo performs a variety of originals and covers, drawing from the vintage sounds of 50's and 60's artists such as Muddy Waters, Howlin' Wolf, Jimmy Reed, Etta James, Johnny Burnette, Elvis Presley, and Wanda Jackson. The band is made up of Dawna Zahn (lead vocals), Austin John (lead guitar) and Hank Miles (upright bass). The band's undeniable chemistry, sultry looks, and high energy performances make them an act not to be missed. Reveal Music Group & Ethereal Promotions Presents "Nashville Nights," with incredible Singer/Songwriters synergistically sharing the stage... "Our passion and vice is M U S I C."
An evening of extraordinarily gifted singer/songwriters collectively taking stage... You do not want to miss this show!!! It's an old-school sound that ignores the trends of contemporary radio. You won't find any bro-country songs here. No Auto Tuned vocals, either. Instead, Carothers dishes up a reminder of country music's golden years — a time filled with fiddle solos, analog production, and slyly simple songs about heartaches and hangovers. His first full-length album, Relapse, available May 5th, 2017, offers plenty of all three. If Relapse bears similarities to classic releases by George Jones, Waylon Jennings and Merle Haggard, it's because Carothers wrote most of the songs between daily gigs at The George Jones in Nashville. Since its opening in 2015, he's performed hundreds of shows at the venue, playing acoustic duo sets throughout the week with loyal sideman Jerry Lee Combs on bass and a weekly Saturday night band show on The George Jones Rooftop. George Jones' own widow, Nancy, personally hired Carothers for the gig, giving him the opportunity to do something he’s thankful for and that so many aspiring artists moving to Nashville only dream of doing – make a living playing music. John Tyler & The Chase is Retro Stadium-Rock with modern gusto. The band’s live shows have had audiences quaking across the southeast and midwest in anticipation of their debut single, dropping this Fall. Garnering early comparisons to past Rock and Roll giants for their dangerous sound with looks to match, John Tyler & The Chase are leading the way as Knights of the current Rock n’ Roll Renaissance. A fork in the road doesn't always look like a poem. To Tony Keats, it looked like a guy cashing in the nickels and dimes he’d saved to try out a different path. Or what he thought of as a different life. Tony had spent the entirety of his 20s traveling with his band in a van bouncing around the Southeast playing college towns and juke joints from Georgia to Ohio and Memphis to Virginia before settling in Nashville. “It got to the point where I was waiting tables between rehearsals and shows and saving my change, literally in jars. Frustrated from what felt like a lack of growth, I cashed it in at a grocery store, bought a computer and enrolled in software programming class." It led to a different life professionally. But he wasn’t giving up on art or the dream – just finding a way to balance it all and learning that the writing happens always through experience, even when it doesn’t look and feel like writing. "This was before everyone had Garage Band on their laptop and a recording devise in their pocket. What I didn't realize was that this would ultimately move me into the direction that I thought I was drifting away from." For the next chapter, in between his day job, Tony transitioned to a guitar-player-for-hire role playing with a wide variety of singer-songwriters both live and in the studio. But he never stopped writing leaving scraps in notebooks, and eventually, melodies on voice recordings and in computer programs. Radio Sounds is a collection of songs from recent years. It was recorded at Howard’s Apartment Studio in Nashville and produced by Dave Coleman. In the song "The Dream," Keats alludes to that age-old philosophy recognized by many, regardless of their path: “When you dream of something for so long / it’s not the something that sets you free / it’s the dream. Plenty of words could be used to describe the music and performance of the Daniel Mason Band, but these three stand out among all the rest. The band showcases a diversity of styles as they combine elements of Rhythm & Blues, Southern Soul, Rock ‘n’ Roll and Country to create their own distinct sound. The songs are comprised of catchy melodies, soaring vocals, and infectious rhythms that deeply resonate during even the first listen. Hailing from four different hometowns in four different states, Daniel, Scott, Jase and Joel formed the group in Nashville, Tennessee, after each making the move to pursue their own musical dreams. Now, they come together to create one of the most exciting and soulful original music experiences found in Music City. The belief in the power of one note to communicate a lifetime’s worth of heartache or triumph and the potential for one song to perfectly capture a feeling… the Daniel Mason Band seeks to fill their songs with the same human spirit that has made American music so powerful and relatable throughout the years and to repackage it for listeners in the modern day. Country music front man, Spencer Maige has been playing music for nearly 25 years and he will still be performing for at least another 25 years. Spencer will tell you, "I love to sing. I love to entertain. I live and breathe music... maybe to a fault. It was my first true love, and is something I will do until I die." Spencer was born in Tallahassee, Florida and excelled as an athlete in high school. He attended Godby High School where he played football and was a captain of the wrestling team. Spencer was a Florida state finalist in wrestling his junior and senior years. However, he discovered his love for music in his sophomore year when he was the front man for a country band. He also regularly sang at his church as a teen. In high school, Spencer knew he wanted to pursue music as his career. In 1995, he asked for a guitar for graduation from high school and began to teach himself to play. Once he was able to play and sing, he was hooked. At this point, he began writing music as well. After graduation, Spencer attended Tallahassee Community College and earned an Associate of Arts degree, then went on To Florida State University, where he studied Business Administration. While in college, Spencer was asked to front a local Tallahassee band called “The Redwood Band.” He did that for a couple of years. Then in October of 1999, Spencer and the guitarist decided to start their own band: “Reckless.” They signed with a booking agent and began playing all the time. “Reckless” had a great following on the campus of FSU since they played at Potbellies every other Tuesday night. They played a lot of parties for the Greek community. They were very popular on campus and Tallahassee, and gained notoriety on other campuses as well. During his senior year in college, Spencer transferred to Belmont University to finish up a bachelor’s degree in Marketing of Music Business. Personally, as Spencer was pursuing his music career, he was courting his wife, Brandi. They met when he was 13 and she was 12. On August 7, 1997 they started dating. Life was busy for Spencer as he was working full-time, going to school full-time, playing in a band part-time, and planning a move to Nashville to attend Belmont. He was continuing to write music as well. In 2001, Spencer and Brandi were married. Today, they live just outside of Nashville with their two beautiful children. Most of the gigs for “Reckless” are down in Florida, Alabama, Georgia or Mississippi, so Spencer was travels a lot. Spencer explains, “The band has always been my baby and it became my sole source of income and still is.”“Reckless” has been playing the college, club, and corporate circuit for over 15 years. “Reckless” is primarily a cover band, although they have recorded a few albums. Spencer has plans to release a solo EP of 5 songs that he is currently recording. McKinley James is a 16-year-old Rock & Roll guitarist/singer from Rochester, NY. His father, drummer Jason Smay (Los Straitjackets, JD McPherson Band) helped raise McKinley in a very musical household. He started on the Hammond organ at 7 but discovered his passion for guitar at 10. His influences range from Link Wray to Freddie King and Otis Redding. He started performing in Rochester blues and jazz clubs at age 13 and has performed with Chris Duarte, The Nighthawks, Joe Beard, and JD McPherson. McKinley is also the face of the latest Eric Church album campaign, having starred in his music videos, and also appears on the album cover for Church's latest record, Mr. Misunderstood. McKinley is also very excited to announce the release of his first EP, Live In Nashville. Record in October 2016, at the Family Wash.
Nashville Pro-Songwriter Series showcases some of the most celebrated professional songwriters that have shaped pop culture. These writers have penned countless hit songs that have been made famous by many of today’s top recording artist. Truly a Nashville experience…. Phillip White is a Alabama native that has spent the last 20 plus years writing songs for some of the biggest artists in the business. George Strait, Luke Bryan, Chris Ledoux, Vince Gill, Bonnie Tyler, Scotty McCreery, Darius Rucker, Wynonna, Reba, Blake Shelton, Rascal Flatts, Jake Owen, and Neal McCoy are just some of the artists that have recorded Phillip’s work.